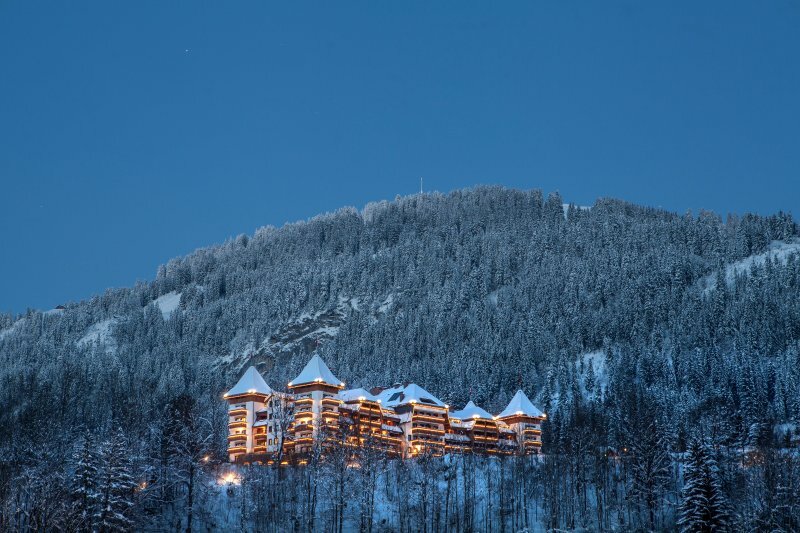 This hotel is the perfect example of what a great Swiss Luxury hotel should be like. Expect punctual service, perfection, elegance and design throughout the entire hotel. Hotel's like these come with the best trained staff you can find. even the smallest rooms are spacious and well prepped making you feel right at home. In each room you'll find a Nespresso Machine, most come with their own balcony and almost all rooms have stunning panorama views. Gastronomy; Oh my... where to begin! Let's start with the top restaurant called Leonard's. This is where you come to spend an evening full off culinary surprises in the comfort of you own hotel. No need for taxi rides or conquer the snow and cold because this place is outstanding in every way. With 14 Gault Millau points Urs Gschwend treats you to upscale, bistro style dishes using the very best seasonal produce of our region. Then there is le Petit Chalet, just off the Promenade and serving traditional (local dishes). Think of Fondue, Raclette and other (Savoyarde) comfort food. For those in favor of a lighter meal or just urging for some fine sashimi or maki rolls, there is The Sushi Bar, serving the finest hand-rolled Sushi in the region! The hotel offer a concierge service that can handle almost any request. For the 'regular' requests and experiences please visit the concierge at the hotel. The concierge is happy to offer you horse carriage rides, paragliding and many other activities. For kids there is special attention as Le grand Bellevue wants every guest to enjoy its stay. Children aged two and up will love our playroom and its cuddly two-metre teddy bear, ball pool and quirky colour-it-in wallpaper. During the winter season, the Lovell Camps organises a full program of fun with activities in the morning and ski sessions in the afternoon. Babysitting is available on request – just ask. For an afternoon tea there is the Lounge where you can get mouthwatering cakes and scones and read a book from the library. Next to these gastronomic escapades the hotel offers a cigar lounge that carries a tremendous selection of premium whiskey's. If you are looking for a true, traditional afternoon tea experience we advise you to book a table in the specially appointed afternoon tea lounge that offers en eclectic decor with intimate sitting areas where you can discuss all topics with out people eavesdropping. Le Grand Spa is truly 'grand', with a dazzling 3000 m2 it offers all kinds of treatments in one of the 11 specially appointed treatment rooms and all kinds of spa facilities. Dip into the relaxing indoor pool or Jacuzzi before a stress-melting massage or intensive purification ritual. Personalized spa and fitness programs can be tailored to your individual needs. Wine lovers should pay attention now: More than 9,000 bottles of the world’s most prestigious wines and Champagnes are available to you, in our heart-of-the-hotel wine cellar. The cellar is a perfect setting for small presentations, intimidate celebrations and exclusive dining. The hotel offers a so called 'Krug Dinner'; This is a five-course Champagne-complemented menu, including a Ruinart aperitif and two glasses of Krug. This is only available on request and should be reserved at least a couple of days in advance but preferably already communicated with your booking and James, the AlpineBooker Concierge, will get right to it. The hotel has a little surprise for you called 'Banquet'. It's not a club, it's not a lounge, it's a place where you come together for drinks, good music (from lounge to stylish club tunes) and to have fun!. Throughout the season, various DJ's will play the decks and Bouquet will serve signature sake cocktails will star alongside Krug and Moet & Chandon’s new Nectar Imperial Rose champagne served on ice. Bouquet is a place that brings some extra flare to your day. 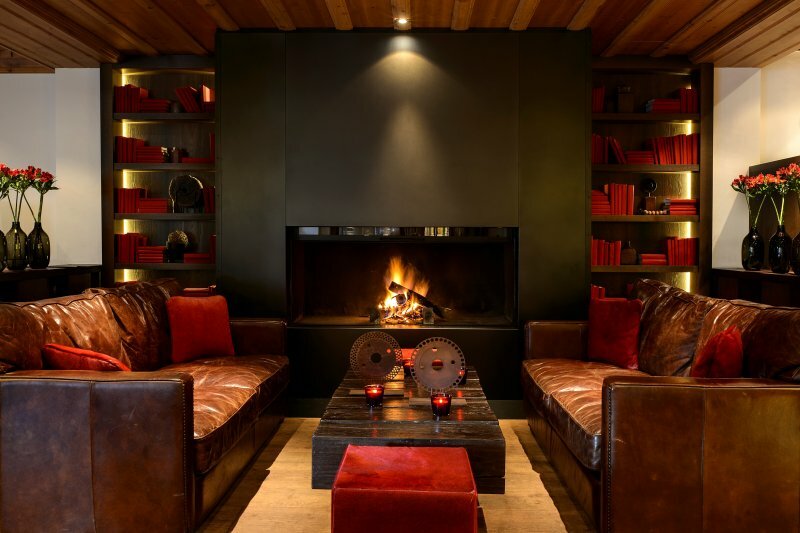 Cool fact; Le Grand Bellevue Bar owns the longest leather Chesterfield sofa in Switzerland. Enjoy an expertly mixed cocktail fixed at the central zinc-topped bar overhere, the place is a convivial space that’s as quirky as it is cool. The hotel owns a vintage Bentley S3. Even if you are not into cars, this is one of the most iconic cars there is and a lust to the eeye. 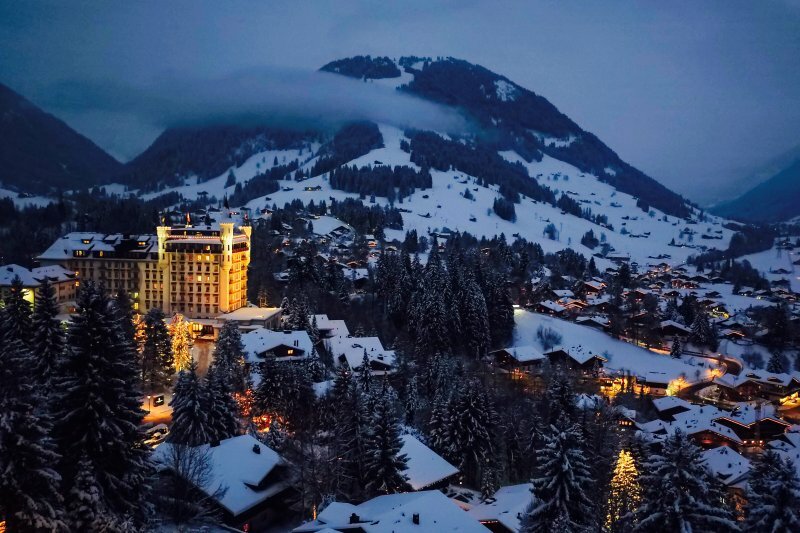 The hotel offers a chauffeur driven tour trough the majestic streets of Gstaad. Please book this experience in advance.